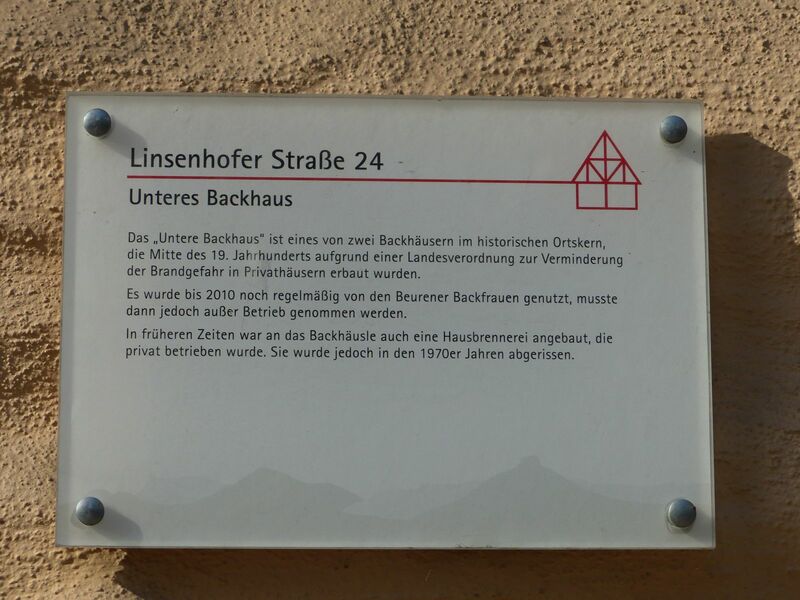 In the village of Beuren there are two bakehouses: The Upper and the Lower Bakehouse. 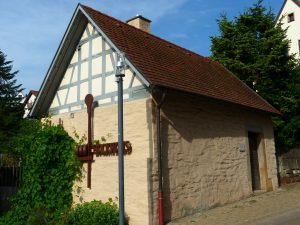 The Lower Bakehouse (Unteres Backhaus) was built in the mid of the 19th century and used until 2010. Due to technical problems it can no longer be used. However, in order to keep the village’s baking tradition alive, the building will be preserved. 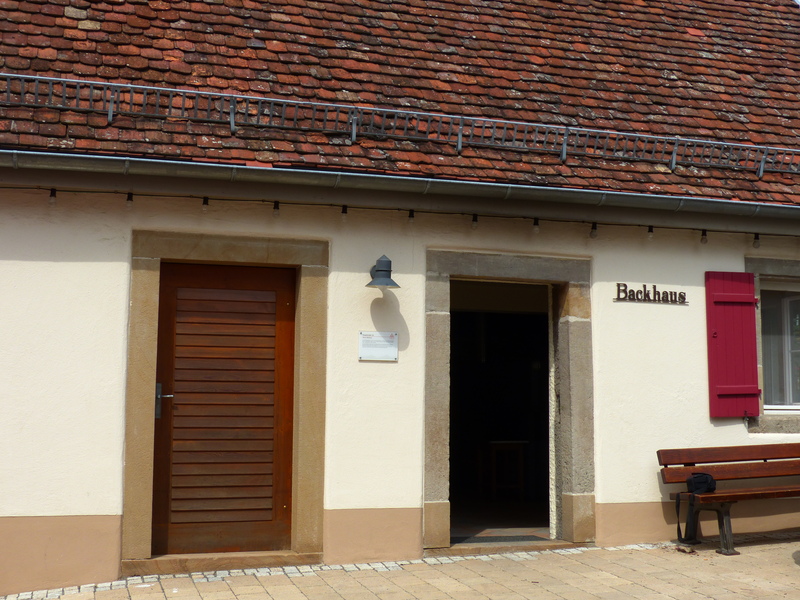 The Upper Bakehouse (Oberes Backhaus) formerly equipped with a vaulted oven was renovated in 2017. The new oven with two doors is heated with wood, bundles of brushwood and small branches, or firewood. The installation of a post-combustion system will reduce the smoke nuisance for the neighborhood. 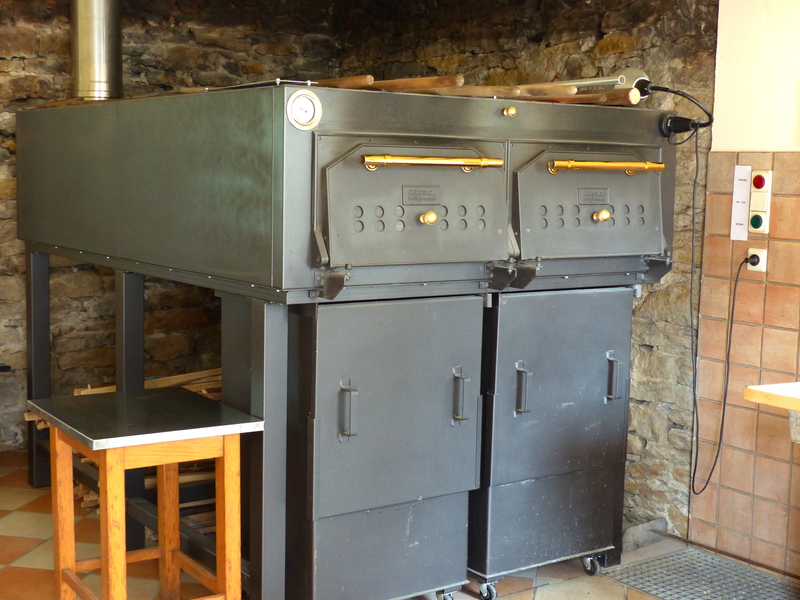 The oven is big enough for 40 traditional one-kilogram loaves of bread. About 15 families use the bakehouse. Everyone who regularly bakes has a key and is responsible for the entire activity including the cleaning. The new oven produces few ashes, so that the local public services have to empty the large ash containers only once or twice a year. Nadine lives close by, and every now and then she looks after the bakehouse – on behalf of the municipality. Whenever newcomers want to bake, Nadine takes over and teaches the apprentices. 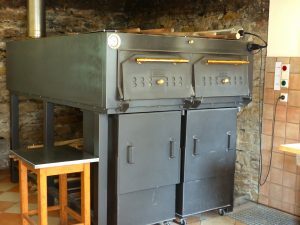 For optimum public use the Upper Bakehouse is equipped with a toilet, table, chairs and a worktable to knead the dough. 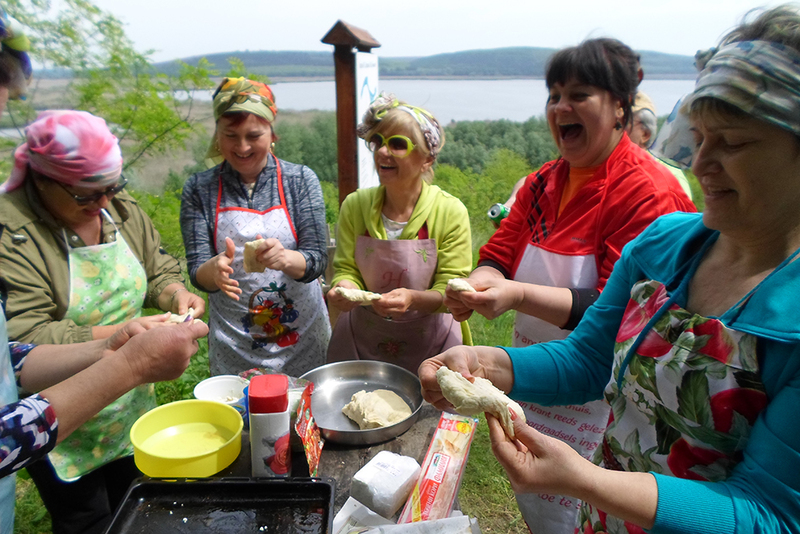 We met Mrs. Buck, who bakes together with her daughter-in-law. They bake 15 loaves each, and they store most of them in their freezers. Mrs. Buck uses high-quality flour (type 1050) to bake spelt bread as well as white bread. 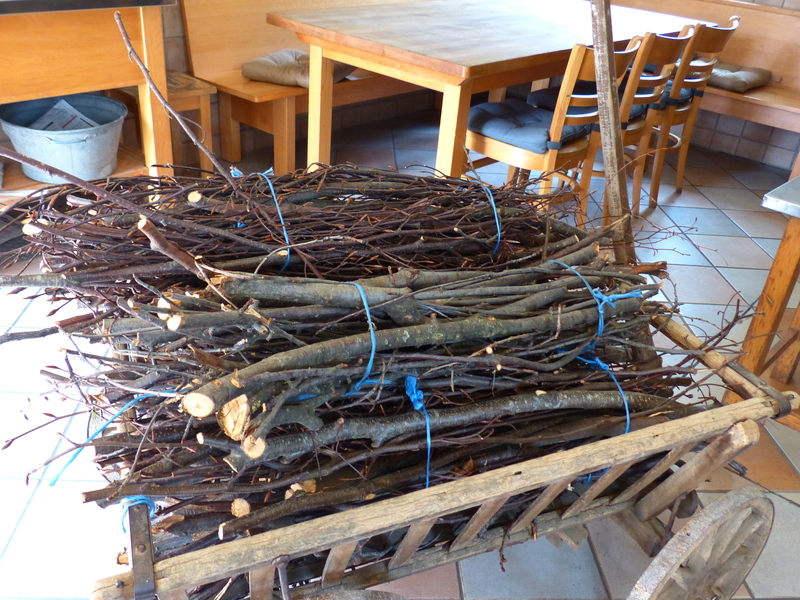 To heat the oven, she uses “Krähle” (bundles of brushwood and small branches) which she brings along with her trolley. The oven is pre-heated to 400 degrees centigrade, for the baking 280 – 300 degrees are required. Mrs. Buck uses rising baskets and a baker’s shovel to put the dough into the oven. Others use a “Schapf”, a kind of ladle, to place their baking goods in the oven without accident. 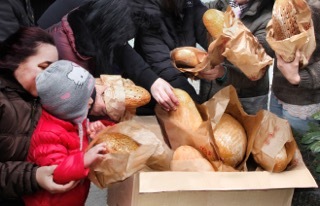 During the second Beuren Bread Market in 2018 a total of 160 loaves of bread were baked. The local music association has a dough mixer for 35 kilograms of flour, which makes the dough kneading much easier. In Beuren gibt es zwei Backhäuser: das untere und das obere Backhaus. Das Untere Backhaus ist wegen technischer Mängel nicht mehr in Betrieb. Es wurde Mitte des 19. Jahrhunderts gebaut und war bis 2010 in Benutzung. Das untere Backhaus bleibt aber zur Erinnerung an die Backtradition im Dorf erhalten. Das Obere Backhaus hatte früher einen Gewölbeofen und wurde 2017 renoviert. Ein neuer Ofen mit zwei Türen wird mit Holz beheizt, Krähle oder Scheitholz. Durch den Einbau einer Nachverbrennungsanlage wird die Belästigung der Nachbarschaft mit Qualm reduziert. In den Ofen passen klassische 40 Kilolaibe Brot. Etwa 15 Familien backen im Backhaus, jeder der regelmäßig bäckt hat einen Schlüssel und ist für den ganzen Ablauf einschließlich der Reinigung verantwortlich. Mit dem neuen Ofen fällt wenig Asche an, die großen Aschekästen werden 1-2 mal pro Jahr vom Bauhof geleert. Nadine wohnt gleich in der Nachbarschaft und schaut im Auftrag der Gemeinde ab und zu nach dem Backhaus. Wenn neue Interessenten backen wollen, dann werden sie als Backlehrlinge von Nadine eingelernt. Das obere Backhaus besitzt Toilette, Tisch, Stühle, einen Tisch zum Brot kneten und kann damit optimal genutzt werden. Wir haben Frau Buck getroffen, sie bäckt mit ihrer Schwiegertochter zusammen. Sie backen jede 15 Brote und gefrieren dann das meiste ein. Frau Buck nimmt 1050 er Mehl und bäckt Dinkelbrot und Weißbrot. 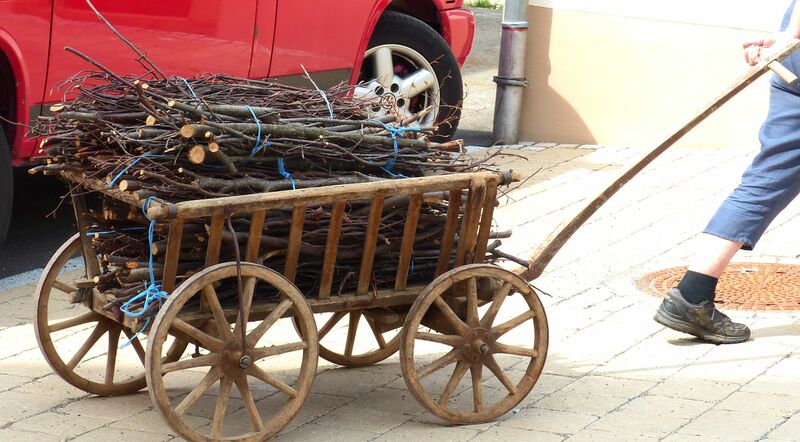 Zum Heizen nimmt sie Krähle, die sie im Handwagen mitbringt. 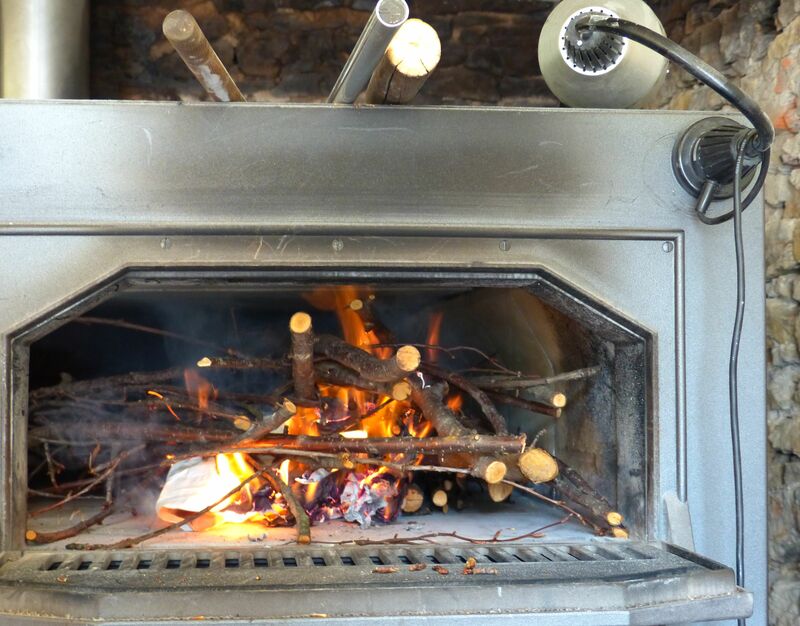 Der Ofen wird auf 400 Grad hochgeheizt und dann wird bei 280 – 300 Grad gebacken. 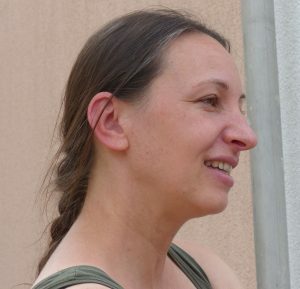 Frau Buck verwendet Gärkörbe und schießt die Brote dann ein. Andere backen mit der Schöpftechnik. Im Rahmen des Beurener Brotmarktes, der in 2018 zum zweiten Mal stattfand, wurden 160 Laibe Brot gebacken. Beim Musikverein gibt es eine Teigmaschine für 35 kg Mehl und damit war das Teigkneten einfach. Baking activity in vocational school in AugsburgArticle about “Bread connects” in the magazine of BAGSO as good practice example.